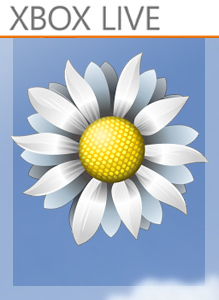 Breeze puts you in control of the wind as you gently blow a flower towards the goal. Master both tilt and touch controls to guide the flower across 60 seasonal themed levels while listening to Breeze's smooth, relaxing soundtrack. Add to your Xbox LIVE account's gamerscore by earning achievements. Breeze is light entertainment for all ages. I pressed the Red Button! Use an air-brake to slow the flower. Reached level 5 in any game mode. Reached level 20 in any game mode. Reached level 35 in any game mode. Although technically not a game, this is where all the videos and screenshots of Xbox 360 Hardware and Software announced at E3 2009 will be. Games Announced so far: Dragon Age: Origins 1 vs. 100 Alan Wake Crackdown 2 Halo 3: ODST Joy Ride Left 4 Dead 2 Shadow Complex Splinter .. Welcome to the wild world of Pocketbike racing where players race the King and his miniature motorbike crew through five fun, yet challenging speedways. Each track varies in level of difficulty and players navigate long straights, tight bends and sharp turns at high speeds while attempting to earn enhancements and tools that they can use to gain a..
Big Bumpin’ looks like a traditional carnival bumper car ride and features familiar BURGER KING® icons, including the Subservient Chicken and Brooke Burke. But, there’s a catch – Big Bumpin’ arenas come with some big hazards, like surprise saws, bottomless pits and “power up” items that let gamers dole out thundering bumps. With several differen..
Only the King can turn an everyday act into an art form and now players can step into the King’s royal shoes and use cunning stealth to sneak up behind unsuspecting people and bestow them with a delicious meal. The goal of Sneak King is to surprise hungry citizens with BURGER KING® sandwiches and other menu items throughout the day before they pas..